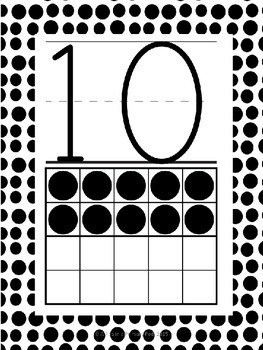 Get ready for Back to School and spruce up your classroom! 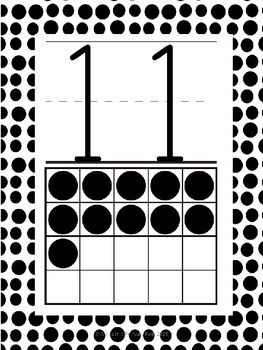 This set of classroom number posters features a black and white dot border, three font styles, and 20 frames to match each number. 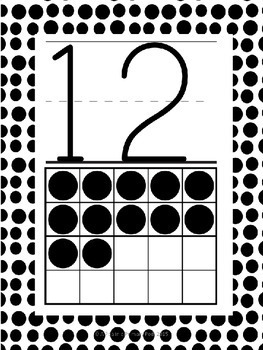 Print as full size and display as posters, or print as a smaller size and use as flash cards. Print on cardstock and laminate for durability. Take a look at the preview to see all three font choices. 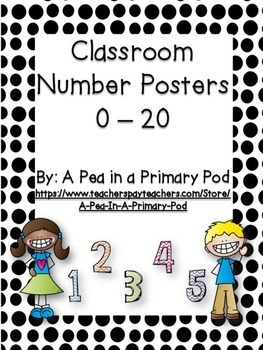 Looking for matching alphabet posters? Not the color scheme you were looking for? Check back often, as I will be adding additional choices. Have an idea in mind? Contact me and I would be happy to try to accommodate you!